Institute of Applied Systems and Rural Development (IASRD)’s primary objective is to act as a catalyst in promoting development of rural areas through applied systems and appropriate technologies. Since its inception in 1982, IASRD has been engaged in development programs ranging from formulation and training of Self Help Groups and their development into micro-enterprises, promotion of Bio-Diesel, Environment Protection, Afforestation Programs, Village Electrification through exploitation of Solar Energy and Bio-Mass based Gassifier, Conservation of Natural Resources, Women Empowerment, Skill Development and Awareness Programs on Climate Change and Clean Ganga Mission. At IASRD it has been our endeavour to contribute towards restoring and protecting Mother Earth a unique and only known planet which supports life. Our concern for people and our planet manifests through our various awareness campaigns on environment conservation, creation of documents and reports on various emerging issues impacting our environment like report on mitigating the air pollution in NCR caused by burning of Parali, restoring and protecting Himalayas by preventing forest fires, reports on Van Dhan Vikas Kendras in Chhattisgarh, Odisha, Jharkhand, Gujarat and other states. We have also been in forefront to bring together various stakeholders on a common platform on current issues pertaining to environment. The Institute has also organized three International Conferences on Solar Energy in collaboration with ASSOCHAM, ICMEI, SMC Global Securities and NEC Technologies Limited. IASRD has also organized 11 seminars on Bio-Fuel & Green Energy for Sustainable growth and its Impact on Climate Change in 11 states in a series. 9 Awareness Programs have been organized for School Children on Climate Change and Clean Ganga Mission at 9 districts in the states of Uttar Pradesh and Uttarakhand. The Institute has already implemented a project in Uttarakhand to electrify a remote off grid village at Lamgarha block in Almora District based on utilization of Solar Energy. 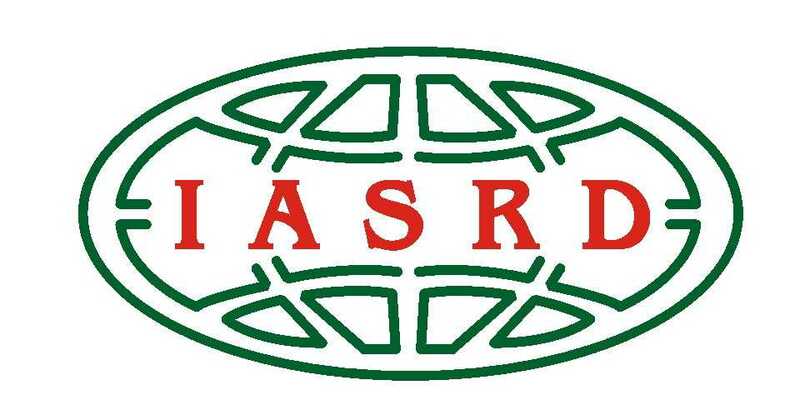 IASRD undertakes field studies and preparation of Project Proposals in areas of Sustainable Development.